On May 7, 2017, UK’s Jewish Chronicle reported that Prince Charles has declined Israel’s president Reuven Rivlin‘s invitation to attend the 100th anniversary of the notorious 1917 Balfour Declaration in Jerusalem. Rivlin extended the invitation to British foreign secretary Boris Johnson during a meeting in March 2017 in Tel Aviv. Johnson’s mother Charlotte Johnson Wahl (née Fawcett) was Jewish. Ironically, the British government which gave Balfour Bible to Lord Rothschild (listen below), its Queen Elizabeth hasn’t visited the Zionist entity since its creation in 1948. The Israeli propagandists have blamed Arabs for the Queen’s rejection of every invitation to the Buckingham Palace for such a visit in the past. Such allegations are hilarious as Britain has a Constitutional monarchy which is under the direction of the elected government of the United Kingdom. Every prime minister of UK has made official visit to the Zionist entity without fear of the puppet Arab monarchies and dictatorships maintained by the UK and the United States. Most of these puppets have open alliance with the Zionist regime in its fight against Iran, Syria, Lebanon and Palestinian Hamas. In March 2017, Muslim student groups held a conference at the University College London addressed by two former Israel’s military officers; Miko Peled, son of Israeli war hero Gen. Peled and grandson of European Jew terrorist who signed Israel’s unilateral declaration of a Jewish State along with David Ben Gurion – and Avi Shlaim, a British-Israeli historian and emeritus professor of international relations at the University of Oxford. The conference demanded that prime minister Theresa May’s government should apologize to nine million Palestinians over the miseries brought on them by the 1917 Balfour Declaration. “The UK should issue an apology and think about compensating the Palestinians for their losses, which are a direct result of British policy,” said the statement. Last year, prince Charles represented UK’s government at the funeral of war-criminal Shimon Peres. 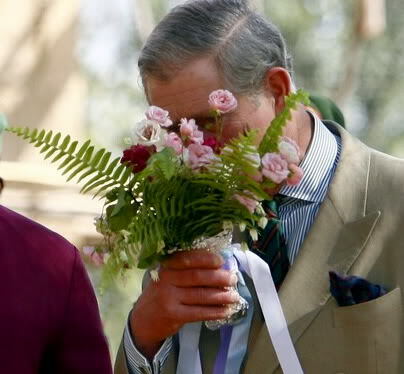 Last year, the Sunday Times reported that British government offered to send prince Charles on an official visit to the Islamic Republic to boost trade between the two countries after the nuclear agreement – but offer was rejected by the Iranian government. Prince Charles had visited Iranian city of Bam in October 2004 as president of British Red Cross after the city was destroyed by a strong earthquake. Since 1952, Queen Elizabeth has visited 128 foreign capitals so far including Canada, New Zealand, Australia, Russia, Tunisia, Thailand, Nepal, Mexico, Chile, India and many of British former colonies. She visited Canada 27 times followed by Australia, 18 times. Queen Elizabeth accompanied by her husband, the Duke of Edinburgh, paid an six-day official visit to Pakistan in October 1997. She irked Jewish lobby by taking her shoes off and adorning a hijab while entering King Faisal Mosque in Islamabad. Queen Elizabeth talked about the death of her daughter-in-law, Princess Diana who was killed in a car accident near Paris on August 31, 1997. Princess Diana who was a friend of Pakistan’s world-famed cricketer turned politician, Imran Khan, had visited Pakistan twice to raise funds for the Shaukat Khanum Cancer Hospital in Lahore – named after Imran Khan’s mother who died of cancer.